And thus it begins. 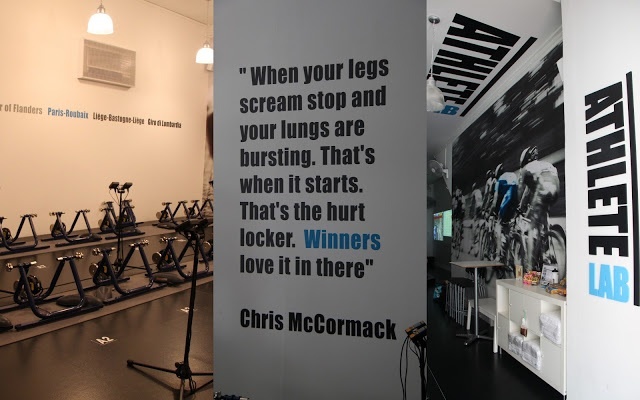 As I begin my research proposal, the training has begun in Athlete’s Lab website here, an indoor bike studio with realtime analysis on my training output. I know what you are thinking, so to get ready for one of the world’s toughest endurance tests you have just done some spin classes. Well you are wrong. The gym is kitted out with the latest in adjustable training bike – you know the ones you see the ones that the riders on the Tour de France use – which optimizes training in the quadriceps & hip flexors, and also allows you to get used to the feel of changing gears at the right moment on your climbs. Absolutely perfect for those hard early morning workouts, when getting out of bed is hard enough, let alone waiting at traffic lights & dodging delivery lorries. 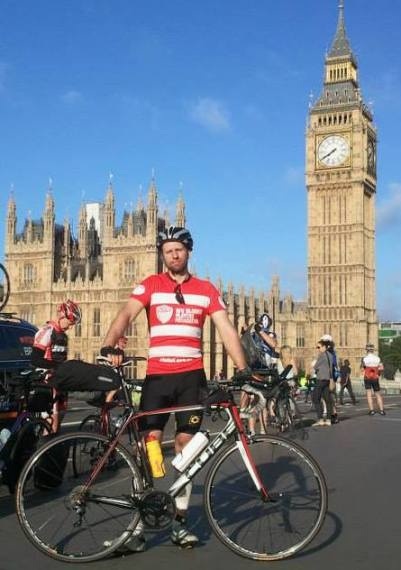 From my experience in competing in the Transcontinental Bike Race (London – Istanbul, non-stop & unsupported 3500km single stage race – race report ) hours on a spin bike staring at yourself in the mirror won’t allow you to compete at the top level (I was on course to finish that race in 13 days of cycling, the winner did it in less than 8 days) so over the next few weeks I will detail my experiences of training with the best cyclists in SE Asia – the trainer next to me last week had just come 3rd in the big stage race the Tour of Bintan and cycled 24,000km around Australia at 20! 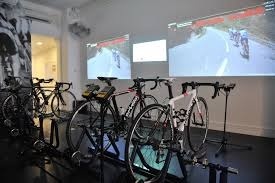 The whole setup of the lab is a no escape theatre of pain and progression, with groups of cyclists effectively racing each other of a host of programs designed to give the perfect workout for balanced progression of my power output and increased endurance. Basically it is the only way to beast it up Alp d’ Huez at 7am in the morning with some of the best cyclists around before you are shallowed up into office life for the rest of the day. For my Deca Ironman next June I have never been so confident that this is the right place to get prepared. Can you keep it at 80% max output for an hour? Short sharp intervals designed to improve cardio-respiratory fitness and recovery. In a race have quick cardio-respiratory recovery is essential, if you can recover from an attack quicker than everyone else, you can launch the next attack whilst everyone else is still trying to recover. These intervals are designed to take you well into your anaerobic zones (dark side) and to improve your cardio-muscular-respiratory fitness. Attack, Attack and Attack is the main word! 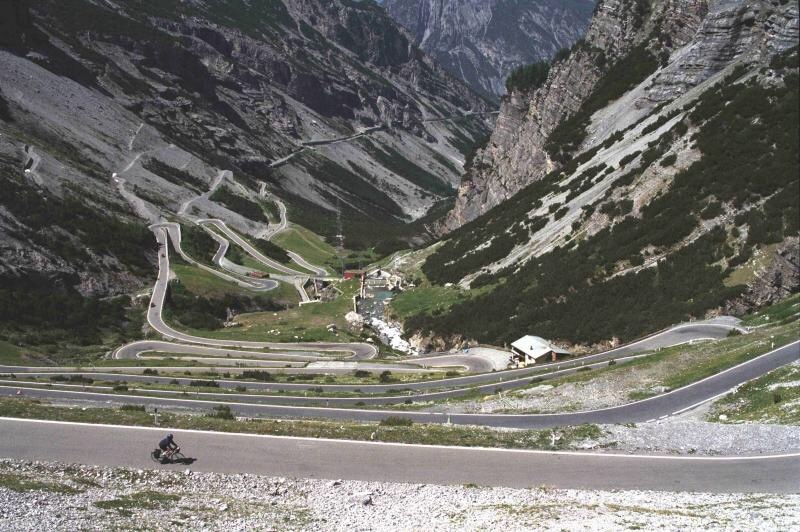 This session contains roads and climbs that have been made famous by the legend that is professional cycling. Wins and losses, blood, sweat and tears… These mythical rides make or break careers. Come ride the stuff of champions! Bragging rights on the line, testing myself against the best! Stay tuned for tales of being trialled by fire!